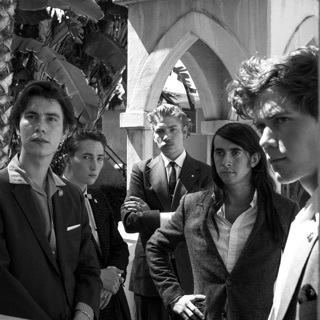 Carrying a torch for the British Invasion and '60s garage rock, the Buttonholes are an indie rock group based in Los Angeles. Founded in the South Bay in 2012, the lineup consists of guitarist Bryan Coulter, bass player Bryan Stone, and drummer Paul Madison, who all contribute vocals. Featuring jangly guitars, retro harmonies, and a garagey disposition, their eponymous debut was self-released in 2014 and included covers of Flamin Groovies, Love, and X.